Please hop over to the blog Gramercy Home (one of my favorite bedding & linen shops in the South Gramercy Home) for my guest post today. 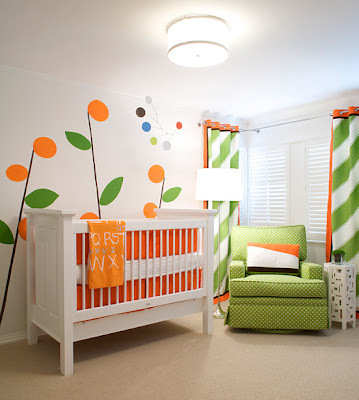 We discuss the decision of whether to create a calming or energetic nursery for your little one. Enjoy! That is a tough decision. Both nurseries are awesome. It is so much fun to use bright colors but I can understand wanting a calm and soothing environment for naps and bedtime.